Alaska's breathtaking scenery and wildlife encounters will be memories that stay with you a lifetime. But there are one-of-a-kind tangible memories you can take home as well as your photos and close-encounter stories. 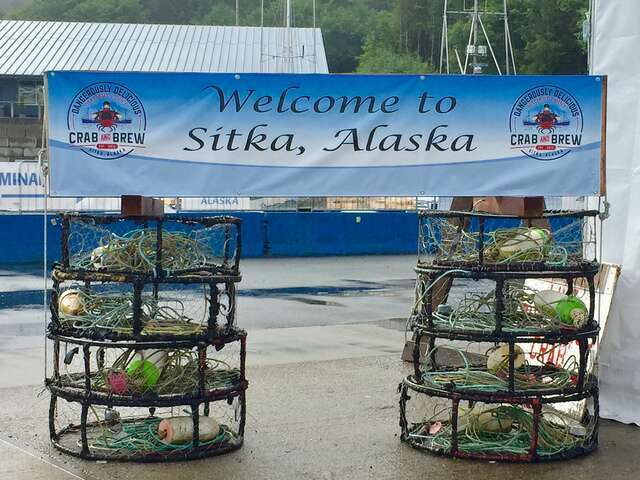 Lynn Elmhirst, Producer/ Host of BestTrip.TV, shares her favorite Alaskan souvenirs from her ports of call in Sitka, Skagway, Ketchikan, and Juneau on a recent Regent Seven Seas cruise to Alaska. Food is such a fun souvenir when it's made from one-of-a-kind local ingredients. I found many flavors of Alaska to take home to treat family and friends. 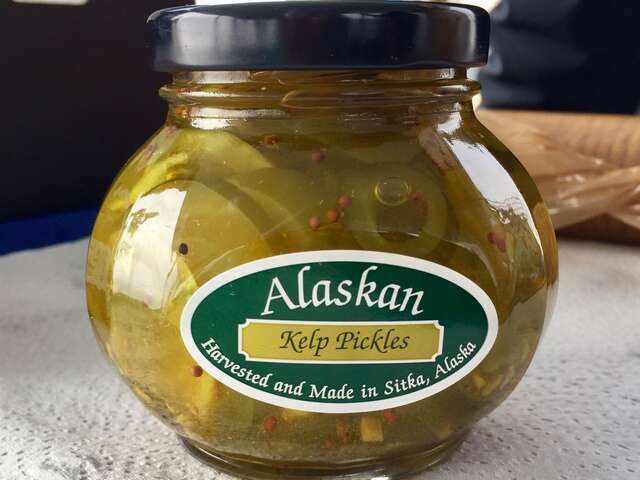 One of my favorites I just had to share was the Alaska kelp pickles we discovered in Sitka. Picturesquely-named Bullwhip kelp is an edible seaweed member of the brown algae family that can grow up to 100 feet long. Alaskans harvest the kelp at low tide through the summer. The long hollow stems cut in rings are around the size of the rings of a small cucumber… in other words, perfect for home made pickles. One of the largest seaweeds, bullwhip kelp is a healthy sea vegetable with potassium, iodine, bromine, and even iron. But the nutrients of kelp will be the last thing on your mind when you taste old fashioned 'bread and butter pickles' made from Alaskan bullwhip kelp. Sweet and sour, with mustard and celery seeds, you'll feel transported back to Granny's garden kitchen – with a refreshing, truly Alaskan maritime twist. Shopping Tip: Also check out the spruce tip jelly (more floral than you think!) and the other grown-in-Alaska preserves, jellies and pickles. Serving Tip: Take them home to entertain your friends, alongside your favorite aged hard cheese (like old cheddar or gouda) and French bread. When it comes to food, wine, and spirits, the best ingredients produce the finest results. The base of any spirit is the water used to make it. And nothing can beat the purity of water sourced from Alaska's glaciers. So imagine how thrilled we were to discover Skagway Spirits. And it happened in the best way of great discoveries when you travel. 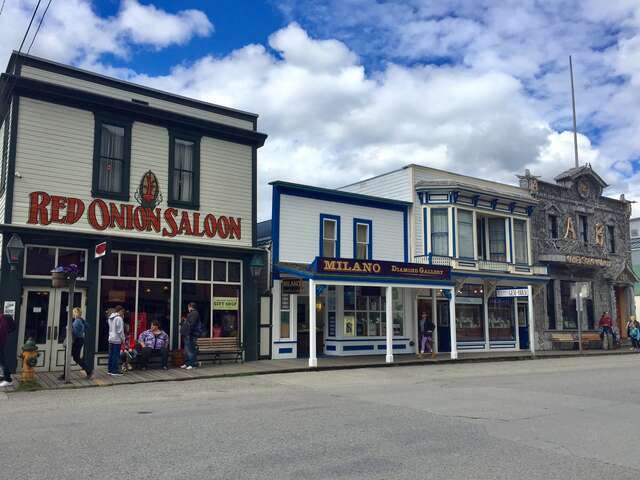 The shore excursions expert on the Regent Seven Seas Mariner told us we just couldn't miss the (formerly infamous) Red Onion Saloon in the historic, Klondike-era downtown of Skagway. Naturally, a visit turned into a drink at the bar. I always look for a local flavor on the menu, and there it was: A spruce-tip cocktail made with local Skagway Spirits gin. The perfect toast to local flavor; we needed to find the source! The bar chef drew us a map on the back of a napkin, and off we went on an adventure. The map led us to an old hangar at Skagway's local airport, where Skagway Spirits has its small-batch distillery and charming tasting room. This is a do-not-miss experience, meeting the members of this family owned- and operated distillery. Their passion and love for what they do is apparent with every fantastic sip of their vodka and gin. They even make home-made local juices from berries and blooms. Their Fireweed Cosmopolitan or Rhubarb Collins will change your life. Ryan doesn't even like rhubarb and he was sidling up to the bar for another! 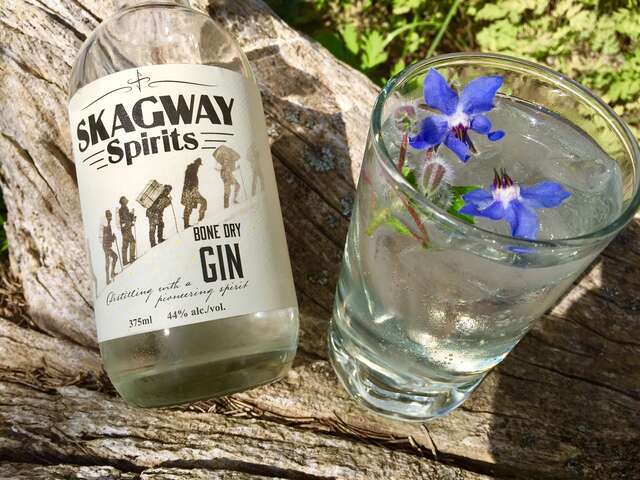 Shopping and Travel Tip: Skagway Spirits is used to packing up spirits for cruise guests' safe return home. 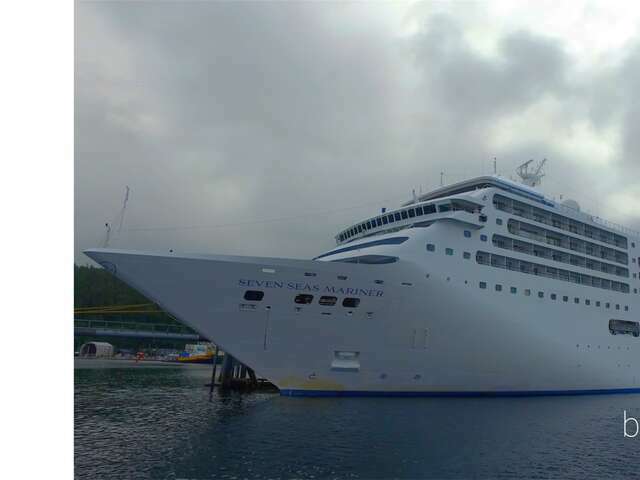 Some cruise lines will have your purchase of wine or spirits stored until you leave the ship at the end of your cruise. 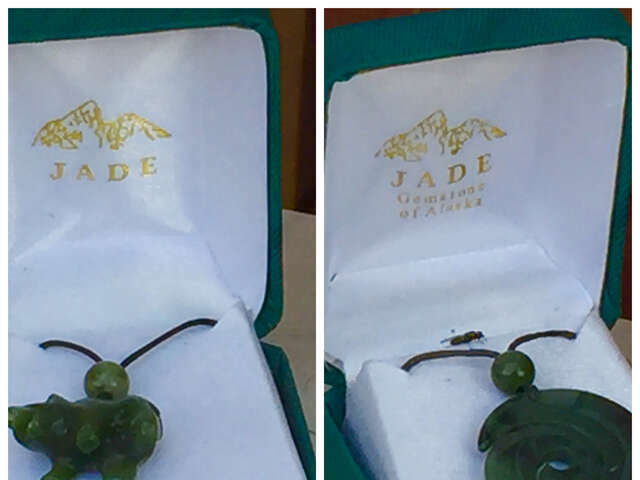 Alaska's state gem… isn't technically 'jade'. But don't let that stop you from bringing home a gleaming piece of Alaska's most famous stone. To the naked eye, the green gemstone you see in shops throughout Alaska looks a lot like the Chinese semiprecious gem. They are actually different stones. Chinese jade is a lighter green and much harder than the softer, usually rich green Alaskan gem, which isn't technically the same 'jade'. But polished into luminescent jewelry, figurines, knives and art objects that evoke the vivid greens of Alaska's unforgettable forests, Alaskan jade is a glowing and cherished emblem of the state's history, natural resources and craftsmanship of its indigenous people. The earliest Alaskans used pieces of Alaskan jade they found in rivers to make tools, jewelry and even weapons. Large deposits still exist in Alaska – in fact, there's an entire mountain of jade in Alaska - British Columbia, and even parts of California. In addition to the identifying dark green, it's sometimes found in lighter yellower shades, red, black, white and even very rare and valuable lavender. Shopping Tip: Unlike some other gems, Alaskan jade seems to appeal equally to men and women. 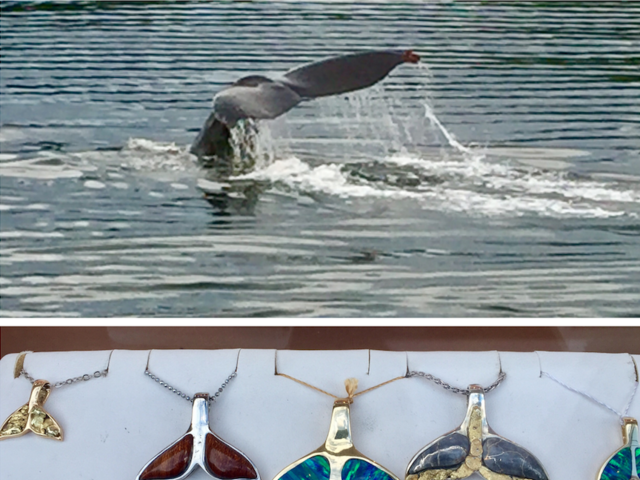 Look for jewelry made in a wide variety of rustic/ native Alaskan styles and symbols, to nature and decorative themes. It's the kind of souvenir you'll wear forever, reminding you of your journey to Alaska. From as early as 2500 BCE, Ulu were an essential part of indigenous households throughout the Arctic, from Greenland to Canada to Alaska. Ulu means 'women's knife', and was an all-purpose tool for skinning animals, slicing animal skins, carving blocks of snow and ice for shelter, cutting food and even hair. It was a cherished tool passed down through generations with care. 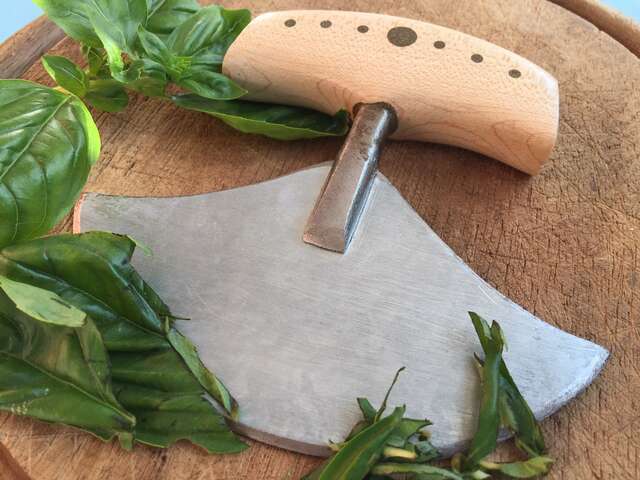 Ulu are composed of a curved blade with a bone, antler or wood handle. Its unique shape centers force over the middle of the blade more than a knife shape we are used to, making it easier to cut bone, or use rocking motions that pin down food to cut easily one-handed. Don't let your Ulu sit on a mantle as a conversation piece. Women and men will find infinite uses for an Ulu. I was given an Ulu by a friend who's a fellow travel journalist, and it's already indispensable. I don't cut my own hair with it, but it's great to have in the kitchen, where rocking motions on a cutting board make short work of mincing herbs, or in the garden, slicing the tops off root vegetables. Travel Tip: check airline regulations to travel with blades; a souvenir Ulu most certainly needs to be safely stowed in your checked, not carry on luggage. Shopping Tip: avoid cheap factory made Ulu and instead, look for crafted Ulu to support indigenous and individual artisans keeping Northern heritage alive. Here's 97 comments for "Top Souvenirs from Alaska"